Vision Center highlights, timelines and more can be found at www.cirrusaircraft.com/visioncenter. Cirrus Aircraft is a recognized leader in general aviation. Its all-composite line of personal aircraft – the SR20, SR22 and the turbocharged SR22T – incorporate innovative and advanced performance, electronic and safety technologies, including Cirrus Perspective™ by Garmin® avionics and the unique Cirrus Airframe Parachute System® (CAPS®). To date, total time on the worldwide Cirrus Aircraft SR-series fleet surpassed seven million flight hours with 109 people returned to their families as a direct result of CAPS being a standard safety feature on all Cirrus aircraft. The Cirrus Vision SF50®, with over 550 production positions reserved, will provide a new personal and regional business transportation solution: the personal jet. 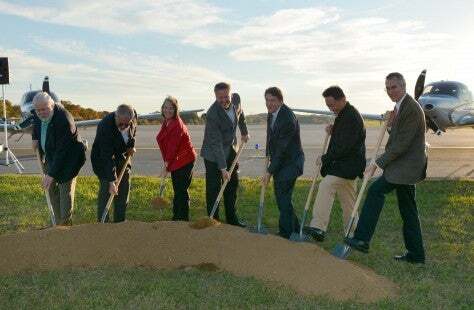 The Vision Center in Knoxville, TN will be the flagship location for all Cirrus Aircraft Customer Experience activities including sales, delivery, training, maintenance, support, personalization, fixed base operations and more. All Cirrus aircraft are made in the U.S. with a direct sales force in North America and authorized sales centers covering export markets in 60 countries around the world. Cirrus Aircraft is wholly owned by China Aviation Industry General Aircraft Co., Ltd (CAIGA). For additional information on Cirrus and its products please visit cirrusaircraft.com.